Divakaran Chandran has proved to be an efficient leader from the early stages of his education period and was holding different posts such as college union speaker and secretary. He is a founder member of TKMCE Alumni – UAE chapter, and Ex-President of TKMCE Alumni- UAE. Divakaran Chandran, a native of the island village of Mangalam in Alappuzha district, is one of the most successful Malayali businessmen in the Middle East, equally well known and respected for his charitable and social activities. Even as he climbed the unimaginable heights of success in the corporate world, he has never forgotten his fellow beings and has always been keen on helping them. This helping mentality has made him a popular figure, both in his native place and among the thousands of Malayali expatriates in the UAE. Divakaran Chandran was born as the fourth out of five children of G Divakaran and Kalyani Amma. The late G Divakaran was a farmer and trader of coconut products. Chandran’s school education was at Government High School, Mangalam. He pursued pre-degree at TKMM College, Nangiarkulangara. Then he went on to earn a BSc degree in Chemistry from SN College, Kollam, and a BSc degree in Engineering from TKM College of Engineering, Kollam. During the education period, Chandran was involved in various sports and cultural activities, in addition to being the office-bearer of different student bodies. Immediately after his Engineering graduation, he worked as a trainee engineer for the Kerala State Small Industries Corporation for a brief period. But soon he left for Dubai, realising that a much greater future was waiting for him in the Middle East. 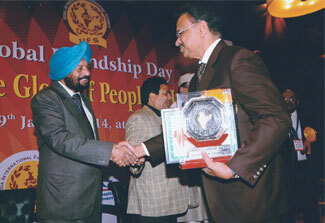 In 1977, he joined as a site engineer with a contracting company named Al Basti & Mukhta Associates in Dubai. Later he became the senior project engineer and project manager of the company, where he worked for 11 years. He is also one of the founder members of Sevanam- UAE, one of the biggest socio-cultural organizations formed to extend a helping hand to the needy and deserving people of Indian origin. 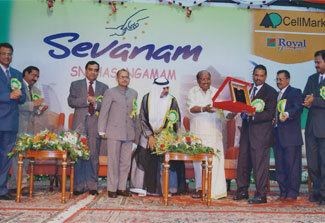 He was the first Vice- President of Sevanam- UAE. Then he became the President of Sevanam Sharjah Emirates Committee and was elected as the Treasurer of the Central Committee of Sevanam-UAE in 2006. Chandran joined Ginco Contracting Company as a Chief Engineer in 1988. At that time, Ginco was a small company with only fewer than 40 employees. With his full time efforts and hard work, Chandran brought the company to the level of a multi-million enterprise with more than 3000 employees in its various ventures across the UAE. During the course of this growth, he has given special care to support his relatives, neighbours and friends from his native place. So far, he has given job opportunities to around 6000 persons as engineers, foremen, supervisors, skilled and unskilled labourers and more. Giving him support in all his endeavours is his beloved family. Chandran is married to Dr Mony Chandran, a medical practitioner who has been running her own private clinic in Sharjah since 1984. The couple is blessed with two sons- Bipin Chandran and Dr Biju Chandran. Bipin Chandran is a Civil Engineering graduate, currently working as the General Manager of Ginco/ GCC Group of Companies. 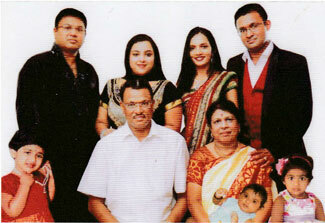 His wife is Dr Rekha Bipin and they have two daughters- Riddhiee and Riya. Dr Biju Chandran is also a medical practitioner as his mother and has completed post graduation in Surgery and Super Specialty (MCH) in Gastro Surgery from Amritha Institute of Medical Sciences. He has obtained MRCS from Glasgow, UK. Dr Biju is currently working as a specialist surgeon in Gastroenterology at Amritha Institute of Medical Sciences. His wife Dr Indu Biju is pursuing her post graduation in Dermatology in Amritha Institute of Medical Sciences, Cochin. They have one daughter, Saaya Biju. 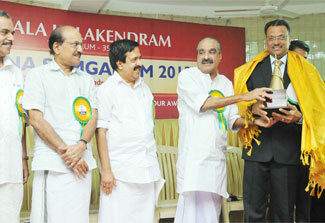 Divakaran Chandran has been involved in a number of social organizations since long. He has proved to be an efficient leader from the early stages of his education period and was holding different posts such as college union speaker and secretary. 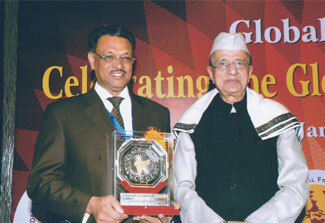 He is a founder member of TKMCE Alumni – UAE chapter, and Ex-President of TKMCE Alumni- UAE. He was also the founder member and president of Kalikkalam Family Club, Sharjah, which has been active since 1986 in developing the sports and cultural talents of its members and their families from India and in promoting Indo- Arab friendship under the patronage of H.H. Sheikh Majed Bin Hamad Al Qasswimi. Chandran is currently the patron of the club. He is also one of the founder members of Sevanam- UAE, one of the biggest sociocultural organizations formed to extend a helping hand to the needy and deserving people of Indian origin. 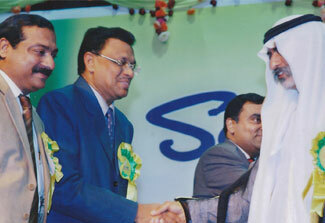 He was the first Vice-President of Sevanam- UAE. Then he became the President of Sevanam Sharjah Emirates Committee and was elected as the Treasurer of the Central Committee of Sevanam-UAE in 2006. 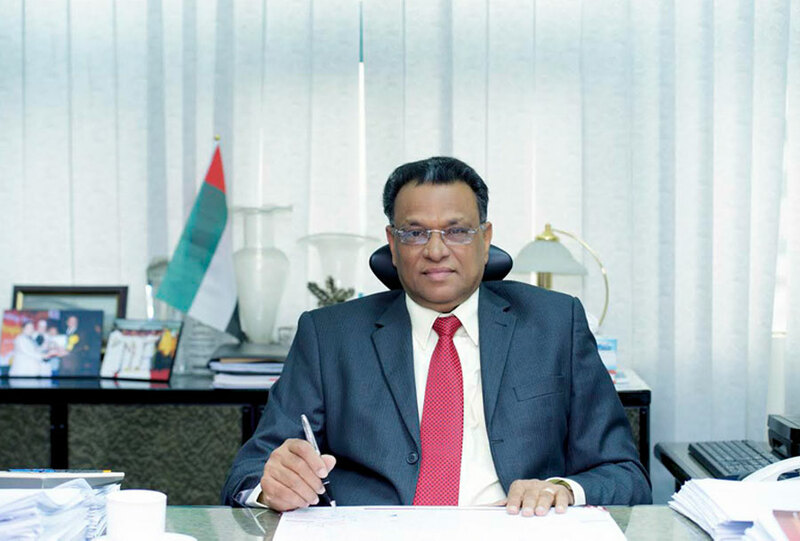 Chandran was one of the master brains behind the formation of Sevanam Holdings Ltd. Investment Company in Dubai in the year 2007 with 2200 low income Indian employees, including labourers residing in labour camps, as investors that aimed to take the best advantage of the booming real estate market in Dubai at that time. Sevanam Holdings Ltd. has constructed a 2 Basement + Ground + 9 Storey Building in the heart of Dubai with 126 Apartments and 143 parking slots named Sevanam Crown. All the apartments have been sold out and benefits of these sales are being distributed to the 2200 investors of Sevanam Holdings Ltd. Chandran still continues as the Managing Director of Sevanam Holdings Ltd as a charity service. 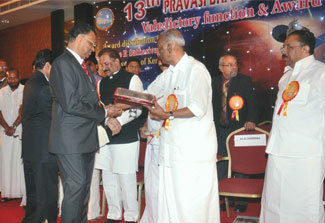 His contributions towards the mankind, especially through charity organizations like Sevanam- UAE and in India are remarkable, which include the contributions made towards the rehabilitation of Tsunami victims and their dependents, besides help extended to poor cancer patients and needy kidney transplantation patients. Chandran has constructed and donated an open air auditorium for a Siva Temple in his native village of Mangalam. He has also constructed and donated a conference hall that can accommodate around 100 people for Kalikkalam Family Club, Sharjah. 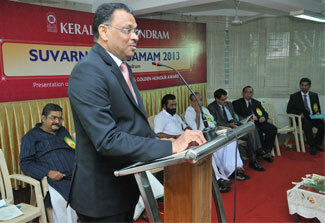 Chandran is a member of Kerala Engineering Alumni (KERA) UAE and Indian Association, Sharjah. He is also an Associate Member of lnstitute of Engineering, lndia and has achieved the title ‘Competent Toast Master’ from Toastmasters lnternational. Divakaran Chandran is a recipient of Golden Honour Award 2013, instituted by Kerala Kalakendram, Thiruvananthapuram, with an aim to recognize the most prominent Malayalees of international stature. 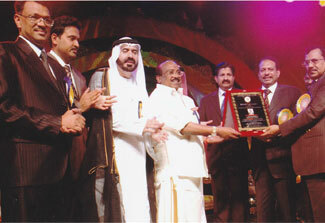 The award has been bestowed on Chandran by Hon’ble Finance Minister of Kerala State K M Mani in the presence of Hon’ble Industries Minister of Kerala State P K Kunjalikutty, the then KPCC President and current Home Minister of Kerala Ramesh Chennithala, Ex-Minister M Vijayakumar, Ex Chief Secretary of Kerala State Dr D Babu Paul and other eminent personalities. 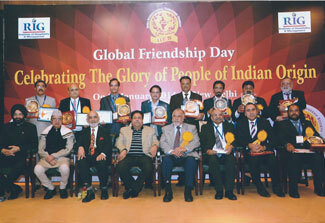 Chandran has also been honoured by the India International Friendship Society, New Delhi, with Bharath Gaurav Award in recognition of his contributions and dedication to worthy causes and for keeping the flag of India high. 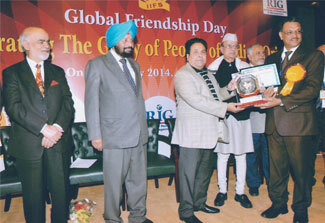 The award was presented to him by Rajeev Shukla, Minister of State for Parliamentary Affairs and Planning, in the presence of Dr Bhishma Narain Singh (Former Governor of Tamil Nadu & Assam) on 9th January 2014. 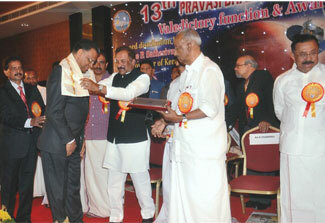 Again, Chandran was honoured with ‘Udyog Pathra’ by the All Kerala Gulf Returnees’ Organization (AKGRO) at the Pravasi Bharathi(Kerala) Day-2015 Celebrations by K J George (Hon’ble Home Minister of Karnataka) in the presence of K C Joseph (Hon’ble Minister for NORKA & Cultural Affairs), in recognition of his contributions towards the economic development of the nation and his role in promoting the welfare of the society. Chandran, with his innumerable achievements both as an entrepreneur and as a philanthropist, sets a good example for the youth and aspires them to aim high.